We are pretty sure that you already have heard of the online casino Vera&John and of course we are going to review them. If you haven’t heard of them you should definitely pay their website a visit. Except ror their bright blue and pink design they have some of the most popular slot machines, live casino and jackpots. This site is also well known for their loyalty program that is one of the best in the industry. The program works that way that you get coins for almost everything you do on the site. The coins you can later use in their shop and there you can buy extra spins, deposit bonuses and much more. While you are collecting the coins you are also getting into higher user levels. It is simple, the more coins you have the higher level you will be able to reach. A couple examples of what you have to do to earn some coins: register an account equals to 5 coins, first deposit gives you 200 coins and so on. There are things that works one time, like the first deposit and on-going activities like you get 10 coins every time you login (limit 1 time each day). It might not be any adventure on this site, but with its amazing loyalty program we think you will have the same amount of fun as any other site. Vera&John also has a Guarantee Winning policy we will go further in to it in the bonus section, but you can see how many good things there is about this casino. Slot machines are the largest category of games at Vera&John. Therefore there is a lot of extra spins for you as a member to take part of. When you make your first deposit you will immediatly recieve 10 extra spins, and then you will get 10 additional spins every day for the next 9 days. So in total, your first deposit will give you 100 extra spins. Once you make your second deposit, you’ll get another round of 10 extra spins for 10 days. This brings up the number of extra spins you get as a welcome bonus to 200! Vera&John also have random giveaways of extra spins, and they are of course a bit tricky to figure out when they are going to come. But you can have a few things in mind. It is common that the extra spins come with some sort of campaign or competition. And since they have such a huge amount of slot machines they often give away extra spins whenever they are launching a new game at the site. In that way you get some extra spins and might increase your winnings, and you also get to play a new slot for free. So they do have some great deals at this casino! The welcome bonus at Vera&John Casino is for sure a great start to your casino adventure! The bonus is one of the better ones on the market, and can give you a total bonus of £300. The bonus is divided over your first three deposits to the site. The first deposit comes with your first deposit, and gives you a 200% deposit bonus up to £100. With your first deposit, you’ll also get 100 extra spins split over ten days. Your second bonus, which comes with your second deposit, is a 100% deposit bonus of up to £100. With this deposit, you will also get your last 100 extra spins. The third deposit you make comes with a whopping 200% deposit bonus up to £100. That’s the last bonus for your welcome offer, and if you use the bonuses to a maximum – you’ll get £300 extra to play for! As we have mentioned Vera&John has an amazing section of slot machines and since they want to be a casino with new and innovative touch their games also reflect that. On the site you can find games from all the best game developers in the industry like Net Entertainment, Microgaming, Evolution gaming and of course many more. There are also tournaments available, goals to achieve and evil bandits that might steel your coins. So if you get your hands on the coins, spend them while you can! You might lose them otherwise. There are a mix of both old traditional slots and more modern video slots. The difference is that you on traditional slots can pull a lever like on the slots you can find at land based casinos in Las Vegas. And Vera&John has tried to create the same feeling on those slots under the section slots, while the games on video slots are more modern and might have some 3D effects and probably some bonus games included. Vera&John is also available for both mobiles and computers. This online casino has made a version that is suitable for mobile devices which means that you don’t always have to play from your computer. It works for both smart phones and tablets, as long as you are connected to the internet. You can choose to play from the web browser or you can download the casinos app from app store or Google play. It is super easy to use the mobile version of Vera&John since everything is the same only on a smaller screen. You can therefore play wherever you are and take your favourite games to your favourite locations, in a super easy way. To make it even easier you can bookmark Vera&John on your phone for an easy access. The support at Vera&John is really friendly and wants to solve your problem. There is a live chat available and they are perhaps not the fastest live chat in the industry, but they sure have solved your problem when they are finished. So it might take a few minutes extra but we think it is worth the time since you get your help. The opening hours is different depending on whether it is a on a weekday or during the weekend. From Monday to Friday the chat is open from 10.00-03.00 CET and Saturday and Sundays from 15.00-03.00 CET. Since a lot of players tend to play on evenings and nights these opening hours still are fantastic even though a 24/7 opening is preferable. If you don’t want to chat with someone or if you perhaps have a problem when it is closed you can always send an email. The hours for the email support is a bit longer and they are available from 09.00 on weekdays and 10.00 on weekdays, and it is open to 03.00 CET. There is also a phone support available if you prefer to explain your problem directly to someone. The phone hours is a bit different depending on which country you are playing from, so check out Vera&John’s site for the exact hours in your country. There is also a FAQ on the site, so you might want to start to see if your question is already answered there. If the case is that, you don’t even have to contact them. The payment solutions at Vera&John are a few different ones. You can use both e-wallets, bank transfer or use your card. Have in mind that there is a 2.5% card fee, but the other ones are free. Most of the payments options are instant so you can start using your money directly. Neteller, Skrill and Trustly are all examples on methods that are accepted at this casino. Are you brave enough to enter the Arena of Heroes? Prove yourself worthy, and win a share of the daily £2,000 prize pool! Name the royal baby with Vera&John! The clock is counting down for another royal bundle of joy to join us, and everyone's wondering what Will and Kate's regal offspring will be called. Guess the name right with Vera&John, and win a luxe London stay! Go wild for a Mission Expedition cash prize! 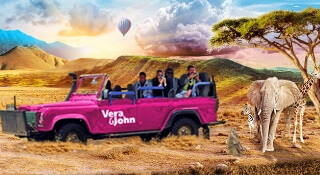 Make your way through Vera&John's brand new missions for a chance to win up to £5,000! At Vera&John you can of course also find the latest trend, to play live casino. This casino has also chosen to offer live casino from different developers, so that you as a player can try out different and find the one that you like. Just remember that you have to allow popups in your browser to able to play. To play live casino is the closest thing you can come to the feeling on being there for real. You can play games like poker, roulette, black jack and much more. Through a video link you will see your dealer who speaks to you as if you were there sitting at the table. You can also chat with the other players at the table to increase the feeling of you sitting at a table and sipping in a drink. A very good experience that we recommend every player who likes table games to try out at least once. Let us give you a few examples on what different kinds you can play at Vera&John. Casino Cosmopolitan from the developer Net Entertainment; live roulette and black jack with both big and small bets. Auto Roulette La Partage; this is streamed from one of the oldest casinos in the world in Belgium, Casino de Spa. 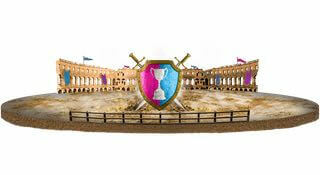 Auto-Roulette La Partage offers the French pay-out which is one of the best available. The rule gives you half your bet back if the ball lands on zero. Definitely something to try out! And the biggest of them all is; Paris Mobile Live Casino. It is Vera&Johns biggest live casino with black jack, roulette, baccarat, 3 card poker and Hold’em. You can also play this from your phone or tablet. As you can see there are a few different options for you to choose from. Why don’t you visit Vera&John today and try it out? Use our link and you’ll also get your hands on that bonus! If you thought that that was all Vera&John had to offer you’re wrong. They also have a section that is called other games. They call most of the games instant games. The reason is that they are so easy to use, with no bet lines, wild bonus rounds or other functions. It is games like horse racing, scratch cards and keno. It is quite simple; you buy a ticket and scratch it with a coin or object of your choice. If you win you’ll get the prize instantly. If it is horse racing you bet on a horse and so on. So everyone can succeed in these simple games. And of course we cannot forget to mention the table games, if you don’t want to play live there is common table games available also. Except for that they also have a huge range of jackpot games. Vera&John offer some of the best jackpot games on the market like Mega Fortune and Arabian Nights. A progressive jackpot means that the jackpot increases all the time until someone wins it, and in the most popular games it often starts at a high number from the beginning. In the jackpot games it is often sums like millions that the winners take home, can you imagine playing for one pound and the next minute you’re a millionaire. If you have an online casino it is quite important to have some sort of gaming license. Vera&John is regulated by the MGA – Malta Gaming Authority. A gaming license assures you that it is a company you can trust and that they handles your personal information safely. Another thing that is great with the license is that players from within the EU play tax free. So all your winnings from Vera&John you can withdraw tax free. 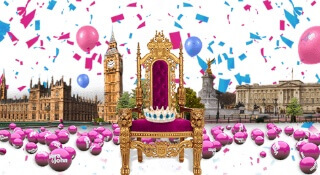 So now that you know exactly everything about this blue and pink online casino why don’t you try it out today? Use or link below and you’ll get access to the amazing bonus we have mentioned before.